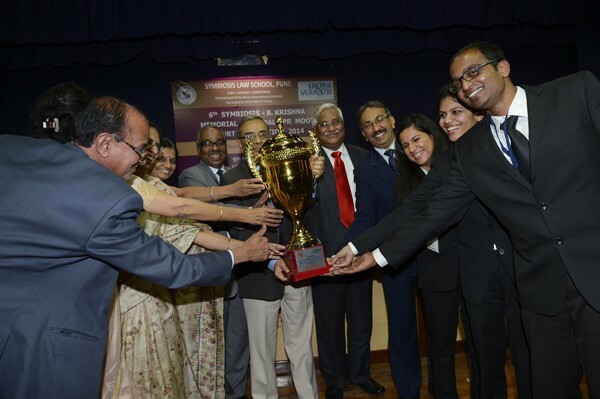 Symbiosis Law School, Pune, the constituent of Symbiosis International University, successfully hosted the 6th B. Krishna Memorial National IPR Moot Court Competition 2014 in association with Krishna and Saurastri Associates from 7th to 9th Feb 2014. The three day long legal battle began with the inauguration on 7th of Feb at the hands of Hon’ble Mr. Justice J.A. Patil, former Judge, Bombay High Court, Chairman, Commission of Inquiry into alleged irregularities relating to Adarsh C.H.S Ltd., Colaba, Mumbai as the Chief Guest. It showcased a unique blend of substantive laws and the procedural requirements of intellectual property regime prevalent worldwide. As announced in the inauguration ceremony, the final rounds including the Valedictory ceremony was streamed live through an online portal for the first time which managed to receive 650 hits in its first 30 minutes. Hon’ble Mr. Justice V. Gopala Gowda, Judge, Supreme Court of India, graced the occasion as Chief Guest for Valedictory. Final round of the competition was judged by Hon’ble Mr. Justice V. Gopala Gowda, Judge Supreme Court of India, Hon’ble Mr. Justice A. K. Banerjee, Judge Calcutta High Court, Dr. Ruchi Tiwari, Joint Controller, Patents & Designs, Mumbai, Adv. 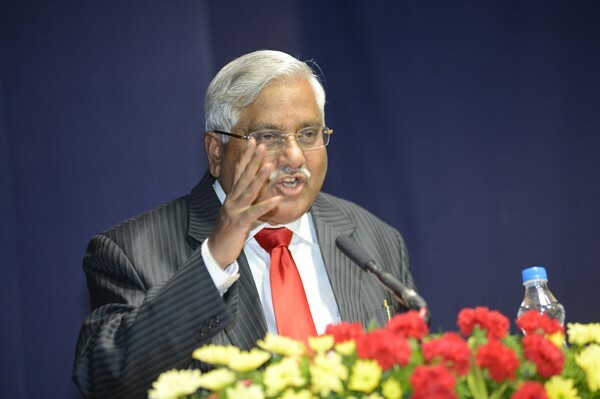 A. Mariarputham, Senior Advocate, Supreme Court of India and Adv. LataaKrishnamurti, Senior Advocate, Supreme Court of India. Welcoming the participants, Dr. Shashikala Gurpur, Director, Symbiosis Law School, Pune and Dean, Faculty of Law, SIU, congratulated the students for showing excellent mooting skills and team spirit. She proposed the urgent need to recognize the increasing nature of interdisciplinary approach towards law. Dr. Ruchi Tiwari, Joint Controller, Patent & Design, Mumbai, in her address, emphasized upon importance of knowing more in the field of Patents as in earlier days, people rarely knew anything about patents and its benefits. She said that the commercial benefit of the patent can be done more with the help of lawyers. Looking at the students’ performance in the competition, she felt assured that there is a bright future for patents and removal of copy-culture. Adv. A. Mariarputham, Senior Advocate Supreme Court of India, gave the participants an insight into the need of understanding the facts in its entirety and the benefits of brevity. He mentioned his pleasure on knowing how man keeps close to their hearts the birth of our constitution. In her address, Adv. 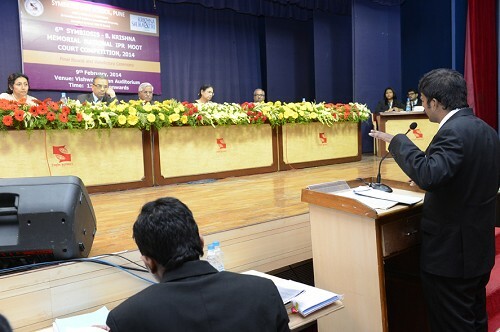 Lataa Krishnamurti, Senior Advocate Supreme Court of India, and partner the Ram Jethmalani Law Chamber, stressed upon the need for the young lawyers to have idealism and understand the fact that law education is a knowledge acquiring system which must be used in the betterment of the society. According to her, as a lawyer, one has to make sure that the excluded section of the society are granted justice and protected from exploitation. She concluded her speech by urging the audience to be Justice Fighters. Addressing the audience, Hon’ble Mr. Justice A. K. Banerjee, Judge, Calcutta High Court called upon the need for extensive research into minute elements. He mentioned that the law profession is the only profession which carries with it absolute unpredictability along with absolute freedom. Upholding these values of a lawyer, Justice Banerjee urged inspiring lawyers to indulge in more practical application through the courts and gain an immeasurable experience. Hon’ble Mr. Justice V. Gopala Gowda, Judge, Supreme Court of India, spoke about the development of legal education in country which has provided better infrastructure to aid in the process of receiving specialized education. Quoting Minerva Mills Case he said that judges are the custodian angels of the ongoing realities of society. Justice Gowda mentioned that the governance of this country is at the behest of the lawyers and judiciary, as millions of people of the country look up to the lawyers for safeguarding the rights given to citizens through the constitution. He further added that the Indian Supreme Court is responsible to protect human rights and fundamental rights and whenever a petition is dismissed or admitted it is done only after a close scrutiny with due diligence and not arbitrarily. He concluded by saying that the litigant lawyer from among the youth today could take the judiciary to greater heights. Adv. Shri R. Muralidharan gave away the much awaited prizes. A tough competition ensued between the 26 Law Schools across the country, at the end was won by Rajiv Gandhi School of Intellectual Property Law, IIT Kharagpur lifting the glittering trophy and a cash prize of Rs 25000/-. Damodaram Sanjivaya National Law University, Vishakhapatnam finished second with a cash prize of Rs 18000/-. Rajiv Gandhi School of Intellectual Property Law, IIT Kharagpur also bagged the Best Memorial Trophy with a cash prize of Rs. 10,000. The first and second best advocate trophy was won by Ms Akshaya Parthasarathy, NLU, Delhi and Ritvik Kulkarni , ILS, Pune, with a cash prize of Rs 7000/- and Rs 4000/ respectively. Dr. Bindu Ronald, Deputy Director, Symbiosis Law School, Pune, concluded the event by proposing the vote of thanks.